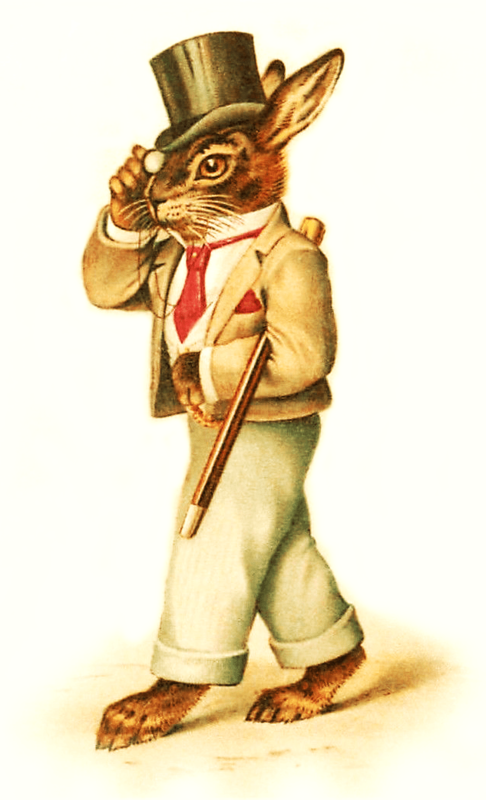 Victorian Bunny Rabbit Clipart. Click the image to view and download the full-size version. A wonderful Victorian Easter bunny in a suit and tophat. He’s absolutely adorable. Perfect for your Easter designs. This entry was posted in Easter and tagged antique image, Easter clipart, Easter graphics, free clipart, Victorian Bunny Rabbit Clipart, vintage image on October 13, 2014 by ClipArtPlace.